Bernie C. Fritz, age 77 of Westfield, passed away on Thursday, July 19, 2018 at UW Hospital in Madison. He was born on July 30, 1940 in Town of Springfield, WI to Bernie E. and Ella (Schrank) Fritz. Bernie married Janet Carlton on June 16, 1962 in Oxford. He spent most of his life working in the logging industry. 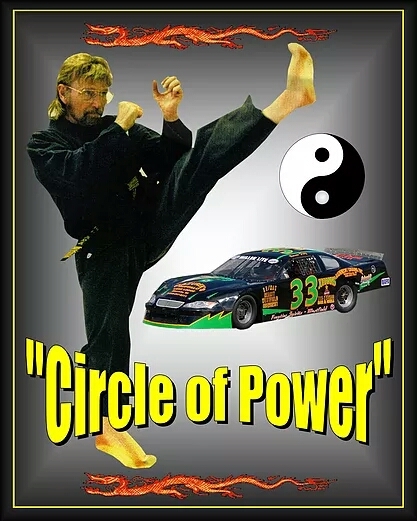 Bernie’s interests in life were teaching and holding seminars on martial arts, stock car racing with his son, building and riding motorcycles and spending time with his family. Survivors include his wife, Janet; two children, Bernie A. (Tammy) Fritz, Coloma and Paula (Richard) Vondrak, Pardeeville; three grandchildren, B.J. Fritz, Lance (Kelli) Fritz and Spencer (Tara) Hamilton; three great grandchildren, Izabelle Fritz and Bradyn and Logan Hamilton; many other relatives, friends and students. Bernie was preceded in death by his parents and an infant sister, Mary Anne. A visitation for Bernie will be held on Friday, July 27, 2018 from 10:00 to 12:00 noon at Steinhaus-Holly Funeral Home in Westfield. A funeral service for Bernie will be held on Friday, July 27, 2018 at 12:00 noon at Steinhaus-Holly Funeral Home in Westfield with David Bignell officiating. Burial will be in Pleasant View Cemetery, Town of Springfield. Please take a moment to view the online guestbook. Send your condolences or share a memory of Bernie with his family & friends.